It all began in Costco with Gwyneth Paltrow. I hit Costco about twice a month because one of my dogs has to have prescriptions filled in the pharmacy. Otherwise, I might not be much of a Costco shopper because the warehouse is off my beaten path, and I can wrangle most things I want out of Vons and Trader Joes now that we’ve become a household of one or two. No, I put my consumer blinders on whenever I enter those massive doors and buy the prescriptions and the boring stuff like enough paper towel, TP, and garbage bags to last through a ride on Noah’s Ark; a mega box of Clif Bars for my son who lives on them; and two bottles of my favorite zin, twelve bucks and under, for nights when I’m ready to unwind from writing unbrief briefs and my current novel in progress. But I admit I have one weakness: I browse the book table after I’ve munched through the samples (and resisted buying of all the preservative laden convenience foods Costco is pushing that particular day). The book table, however, is my Armageddon. Like most word-obsessed people, I have a weakness for books. And I’m a foodie on top of that, so a cookbook is not to be resisted. Not long ago, I staged a personal intervention in which I promised my rational self not to buy another cookbook until I had cooked at least one thing from all the others I’ve been acquiring after visits to Anthropologie. BUT THEN . . . .
That day, “It’s All Good,” Gwyneth Paltrow’s latest cook book sang its siren song to me in all it’s glossy picture laden, healthy food glory. I didn’t buy her first one – maybe because I didn’t find it at Costco dirt cheap – but “It’s All Good” became my extravagance of the day. I sat up nights reading it along with the other cookbooks languishing in the Give Us Attention Pile. Soon I was concocting Gwyneth’s warm mustard lentil salad (a major yum) for lunch and her olive oil fried eggs for breakfast. (I added my own sprinkle of crisped prosciuto on top.) AND THEN I discovered “Avocado Toast.” As she says, it isn’t really a recipe. You stick some sliced up avocado (or mashed up) on some toast with Vegenaise and maybe sprinkle on some chili flakes. Being Ms. Paltrow, she puts her avocados on gluten free bread. But I took one look at that stuff at Vons and decided bread made from sawdust is not my thing. So I began to browse the bread aisle, a low-carb dieter’s nightmare. And that’s when I met Dave’s Killer Bread. The picture of the ex-con on the package was riveting, along with his statement, “ I was a four-time loser. I spent fifteen years in and out of prison.” Now, I write unbrief briefs week after week for more than four-time losers, and I was intrigued by anyone who could leave that life behind and bake bread. In fact, lots and lots of bread. There were so many varieties with seeds and sprouts and no bad things in them (ok, Gwyneth, they did have gluten, but it’s not a problem for me) that I thought I’d died and gone to Foodie Carb Heaven. 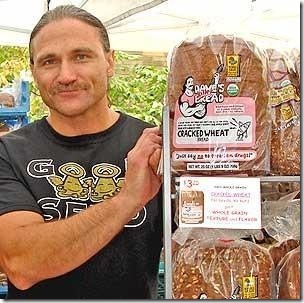 Dave Dahl is the son of Jim Dahl, who purchased a bakery in Portland, Oregon in 1955. Jim worked extremely hard to develop bread made with whole grains and no animal fats. His bread from the 1960’s, “Surviva,” is still popular today. All of Jim Dahl’s children, including Dave, worked in the family business as they grew up. But Dave, who suffered from severe depression, didn’t appreciate his father’s work ethic, and went on to a life of drugs, assault, armed robbery, and burglary. And to terms in prison in Oregon. But after fifteen years, Dave decided to be treated for his depression, and he learned drafting design while in prison. He expected to continue with that work, but after he got out his brother Glen, who now ran the bakery after Jim’s death, welcomed him back. 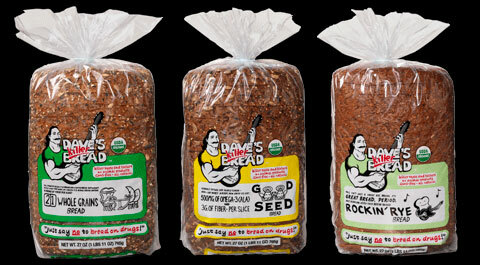 Dave put everything he had into developing “Dave’s Killer Bread,” and the family business quickly had a hit. Dave believes in giving back in lots of ways. One third of his work force consists of ex-felons like himself. And he returned to the prison where he was incarcerated to tell the others they, too, could turn their lives around if, as Dave puts it, they had the humility to ask for help. Having seen so much hopelessness in my “day job,” I was overwhelmed when I read Dave’s story. And the bread – by the way – makes the most divine Avocado Toast. You can always tell when a store is offering a promotion that benefits them, not you. A few years ago, it was Costco. They came up with their “cash back” American Express card. Now, for anyone who wanted another credit card, I’m sure it was a THRILLING DEAL. But for those of us who don’t like plastic and who have enough already, it was not attractive. Eventually Costco penned up the AmEx Card hustlers (I like to think it was because I complained), and I could just avoid them. For a while. But then they started a campaign at check out for those of us who were holdouts on the GREAT DEAL. We still had the tell tale white membership cards. Put one of those babies on the checkout conveyor belt, and your fate was sealed. You were going to get a talking to from the cashier with all the fervor of a Southern Baptist street preacher who suspected Jesus Christ was NOT your lord and savior. Finally, I paid Costco an extra $60 bucks a year for a black card that is not a credit card, but that entitles me to a paltry rewards certificate every January. It’s enough to buy a couple of good bottles of wine, and so far it has been a stake in the heart of AmEx vampires. Having lived through the Costco AmEx campaign, I was not thrilled when some baby B-schooler created JUST 4 U at my local supermarket. I mean, the title was an instant give way. It was definitely NOT 4 ME. The whole thing began pretty innocuously with tables just inside the entrance doors where pleasant-faced employees gave out little flyers telling us how sign up on our computers at home. Ever obedient, I did just that. But I went no farther. Why, you ask? Because the object of the exercise was to get me to decide what I wanted to buy BEFORE I went to the store, click on a bunch of e-coupons and somehow magically have these on my cell phone to be scanned at check out. Do you see where this is going, Highly Intelligent Reader? Yep. You got it. The store was sneaking up on paper coupons and trying to make them extinct. But as my children grew up and left home bit by bit, I had little need for an elaborate food plan every week. And, as a foodie, I love to roam the aisles and Impulse Buy. I may know three things I want before I hit the supermarket, but I don’t know the other ten. It is just not fun to sit at a computer and pretend I’m putting tunes on my iPod when in fact I’m hunting for paperless coupons for the Android for things I don’t even know I want yet. Lately, like the AmEx herd that got bullpenned, the JUST 4 U pushers are fewer and farther between. (I think the moms complained about the free cookies.) There are still plenty of customers with cute little coupon savers at checkout, handing over wads of rainbow-hued clippings. I actually haven’t seen a single phone scanned. I’m thinking the baby B-school genius who visited this plague upon us is Looking For Another Job right now. B-school genius has learned the hard way no one is going to deprive me of the extemporaneous fun of being an Foodie Impulse Buyer. Absolutely no one. The Beginning of the Magical Season – Happy Thanksgiving! On Thursday morning, I will be up with the sun to get my hands messy mixing stuffing, putting it in into the bird, and getting into the oven. I will baste the bird and check its internal temperature at intervals, mindful that the difference between a perfectly roasted turkey and an overcooked one can be just minutes. When I was a child, I watched the women in the family do these things. Now it is my responsibility. This cooking ritual, year afer year, is as satisfying to me as the liturgy of the Anglican mass (back in the days when I shepherded the kids to church, Sunday after Sunday). On the rare holidays when we have chosen a restaurant for our feast, I have missed my personal culinary rites of thankfulness. The basics of the meal haven’t changed much from the first Thanksgiving I cooked in November of 1985. In that year, I had been in California for all of two weeks. I went to the now defunct K-Mart to buy a hand mixer to cream the sweet potatoes. I had no children then, but I wished for them. That November afternoon, I saw a car with a Fulton County Georgia plate in the K-Mart parking lot. I cried because I was homesick. I started to leave a note on the windshield asking the driver if he or she felt as marooned in a foreign land as I did. But I lost my nerve, and so I will never know the answer to my question. Now all these years later, the foreign land has become home. The K-Mart is shuttered and empty. We rarely traveled at Thanksgiving, but our few trips were memorable. In 1999, we flew to Tennessee to be with my family for the holiday. 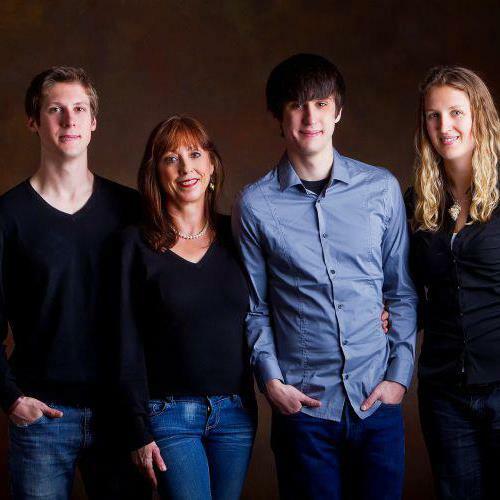 It was the only year my children ever experienced more than the four of us for the feast. They raked leaves for the first time in their lives and jumped into the piles with their cousin. They discovered southerners put giblets in their turkey gravy. Ugh! They learned that pecan pie with chocolate chips in the bottom is so rich, a tiny bite will do, even for the most avid sweet-lover. On another holiday away from home, my daughter and I walked through a cold Chicago rain to a delightful restaurant, formal enough to have a coat check room and bottles of Pellegrino sparkling water on the table. The chef accompanied his perfect roasted turkey with butternut squash ravioli in brown butter sauce. We missed the boys, who were with their father that year. But it was a special time for the two of us, alone is a wold class city. Now the years of being divided at holidays are over. The ritual food preparation has expanded to included a ritual housecleaning before my adult children come to stay for the holiday. Although I miss the days when we all lived under one roof, it is exceptionally exciting to have my grown ones coming back to share their adventures in far places. Like many things in life, when one thing goes away, another even more wonderful something comes along to take its place. Although the holidays for those of us who create them for our families are a lot of work, I personally love the run-up to Christmas. From now until January 2, I will be planning food and gifts and decorations to create a festive world for me and the ones I love. I thank the Universe every year for giving me so much love and joy and for giving me wonderful souls to share it with. We are entering the Magic Season! Let the Magic Begin. Happy Thanksgiving!